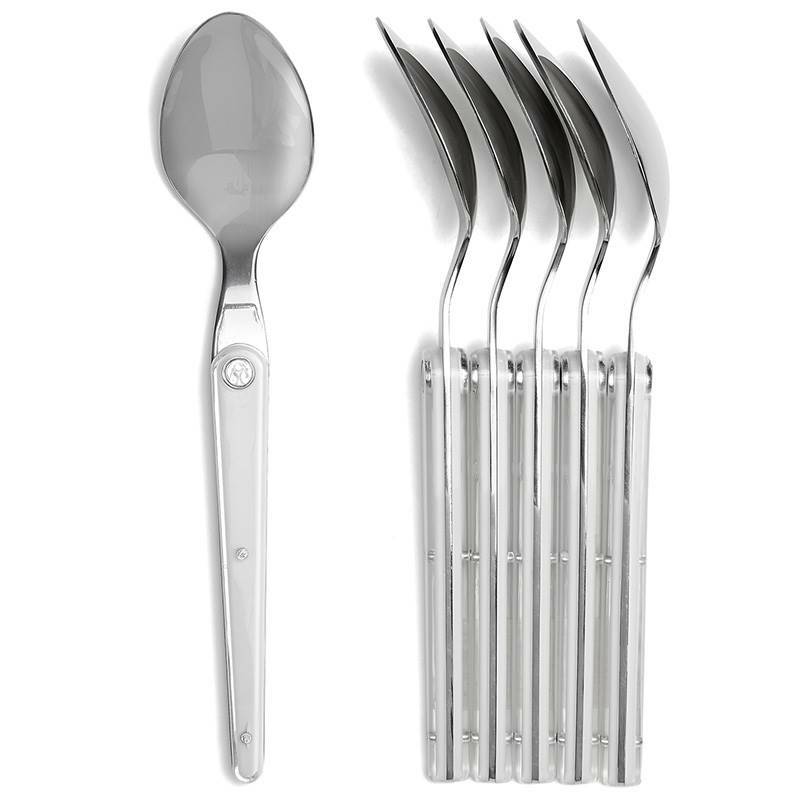 This set of 6 stainless steel spoons from the Laguiole Evolution® range has a design halfway between the timeless lines of the traditional Laguiole knife and the actual trend thanks to the material. 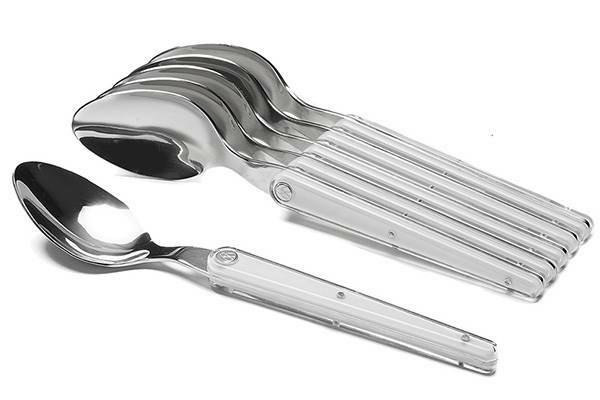 The steel used for the manufacturing of this flatware is totally stainless. 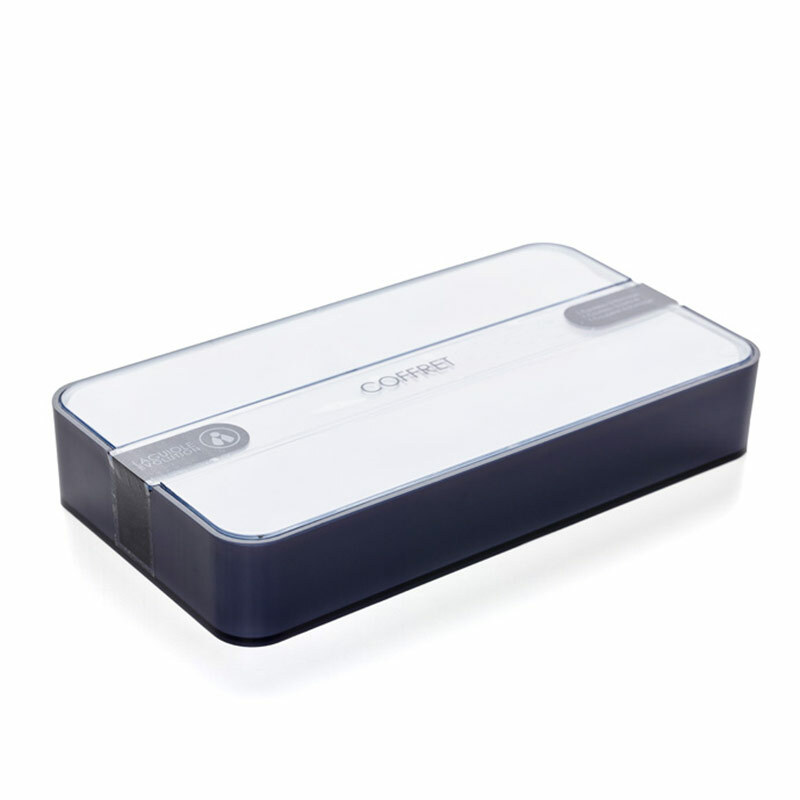 The robust ABS handles have been developed for an easy handling. Lay your table according to your mood! 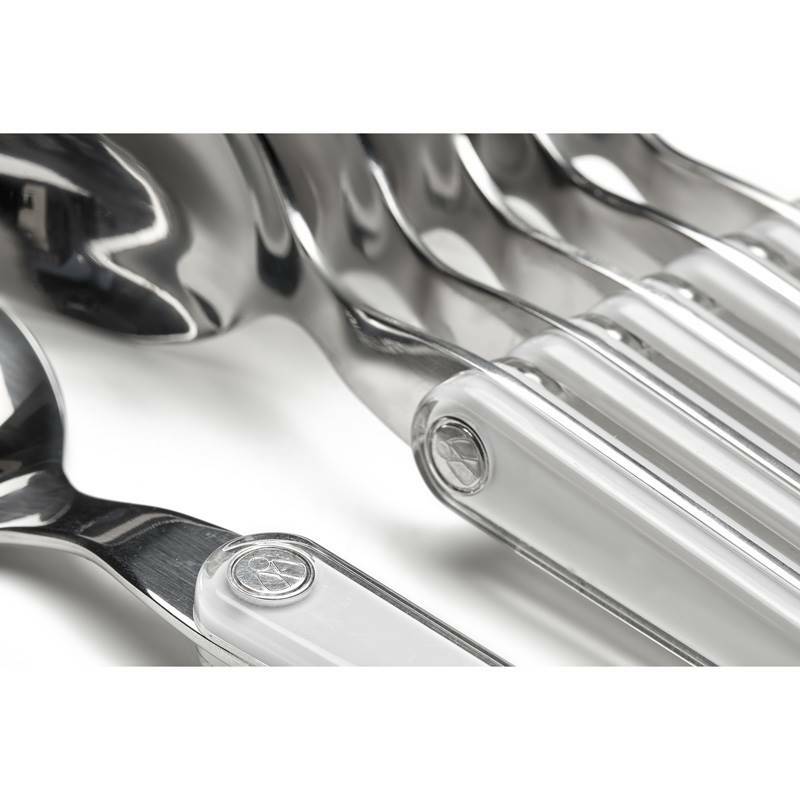 The Laguiole Evolution Sens white flatware will perfectly ornate and embellish your table. 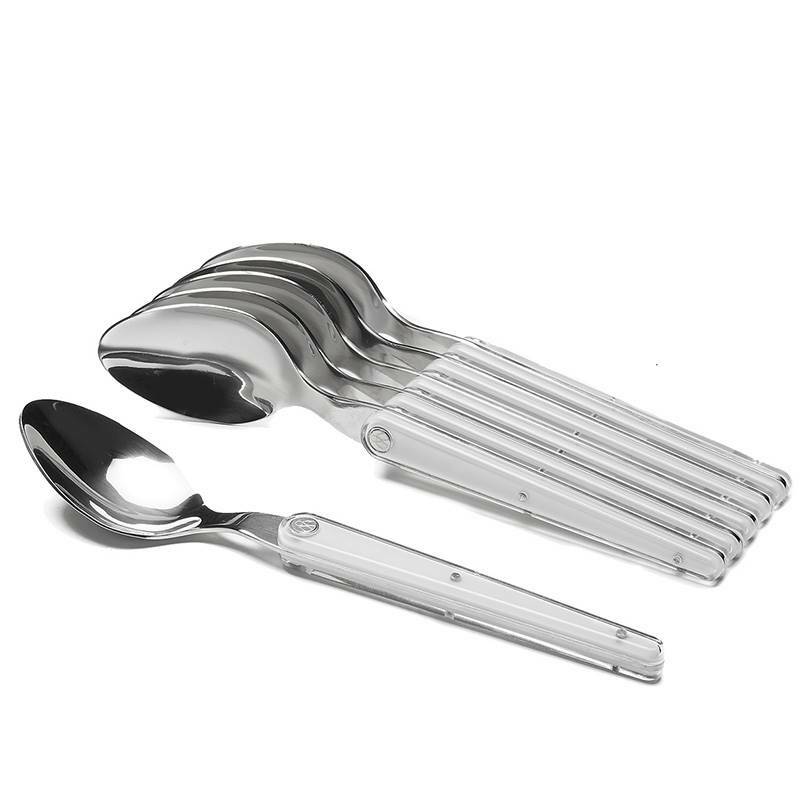 Do not hesitate to mix knives, forks and spoons of this wonderful collection specially designed by TB Groupe experts. Whether white or multicoloured, your table will be one of the most elegant.